Did you know over 60% of American do not have a Will? And 90% do not have an up to date, comprehensive estate plan? Did you know that important decisions relating to how your assets are distributed, who will serve as guardian for your minor children, and who might make health care decisions in the event that you cannot, could be decided by a judge without an estate plan? 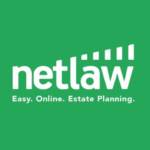 Estate Planning is such a key component of one’s overall financial plan, and now I partner with NetLaw, a company that can help you to get your affairs in order. NetLaw is a revolutionary platform that helps customers quickly and affordably create their estate plans, using expert technology awarded by the American Bar Association for innovation. NetLaw combines state-of-the-art software, with attorney know-how, to eliminate the hassle and expense of a lawyer. Most needed documents – Will, Trusts, Power of Attorney, etc., can be completed in about half an hour. These critical documents can then be stored in NetLaw’s secure, cloud-based LifeVault for convenient access or updating when life events occur.